Navratri (Sanskrit: नवरात्रि, literally “nine nights”), also spelled Navaratri or Navarathri, is a nine nights (ten days) Hindu festival, celebrated in the autumn every year. It is observed for different reasons and celebrated differently in various parts of the Indian subcontinent. Theoretically, there are four seasonal Navratri. 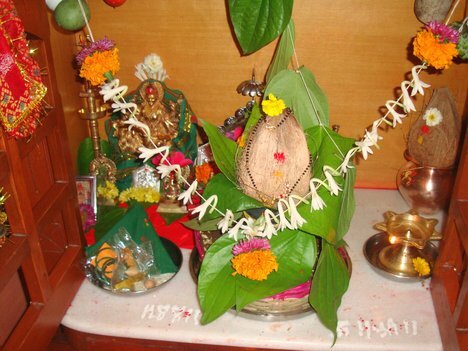 However, in practice, it is the post-monsoon autumn festival called Sharad Navratri that is the most observed in the honor of the divine feminine Devi (Durga). The festival is celebrated in the bright half of the Hindu calendar month Ashvin, which typically falls in the Gregorian months of September and October.